This is the summary of consumer reviews for ecobee EB-STAT-02 Smart Thermostat 4 Heat-2 Cool with Full Color Touch Screen. 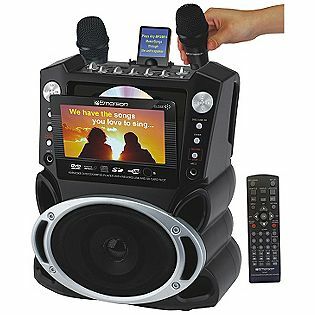 The BoolPool rating for this product is Very Good, with 4.10 stars, and the price range is $247.75-$392.41. The Ecobee EB-STAT-02 Smart Thermostat 4 Heat-2 Cool offers a Full Color Touch Screen on which temperature is set by a slider on the large easy to use and read touchscreen. 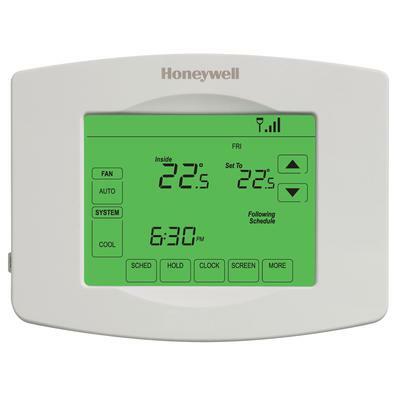 The thermostat displays current and programmed temperatures, system status, maintenance and high/low temperature alerts, weather conditions, WI-FI signal strength and current date/time. Touching the unique Quick Save button will automatically set the system to conserve energy and save on energy bills by running efficiently. The Ecobee features 365-day scheduling, 7-day programmable, vacation programming, humidifier, dehumidifier and ventilator control. The Ecobee Smart uses ZigBee technology for its Wi-Fi connectivity, and can be controlled from smartphones, tabs and computers. 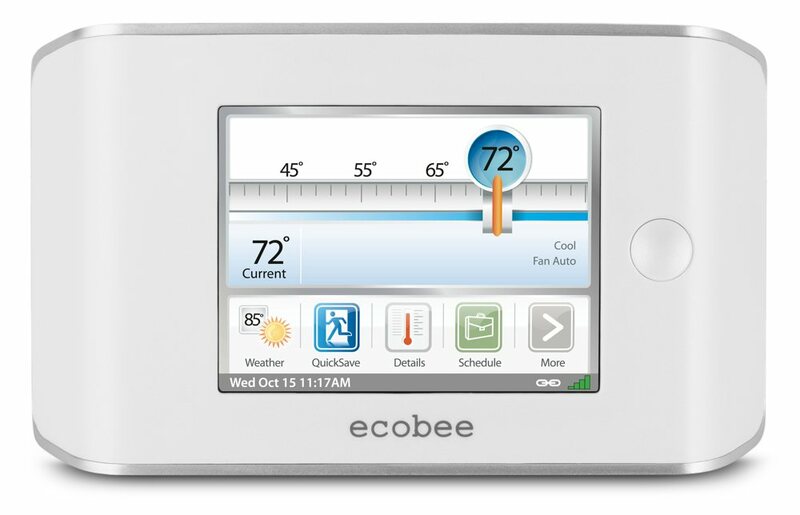 A simple registration of the Ecobee Smart Thermostat allows access from anywhere through a personalized web portal. The registration costs no fees and offers features like program editing, setting up alerts, service reminders, manage vacations, change of preferences, reports on HVAC system performance and manage multiple thermostats from the same web portal. The easy to use intuitive user interface makes it easy to set personalized programs and the build-in live weather function helps in saving on energy bills by assisting on the most efficient and appropriate program to be set. However, this device requires knowledge of HVAC system and is not an easy installation for most users. Overall, the Ecobee EB-STAT-02 Smart Thermostat 4 Heat-2 Cool with Full Color Touch Screen is recommended by users for its good utility and easy to use features when home and away. Better thermostats have an LED that turns red when calling for heat, and turns green when calling for air-conditioning. With this simple feature you able to tell what the heat / air conditioner is doing from 50 feet away, day or night. However, the touch screen isn't properly responsive and turning off the heat at the wall sometimes requires a dozen taps in various areas and at different pressures. Can also see how long both air and heat have run at any given point. This produce has made life so much better by having the ability to adjust the AC or heat on from afar. Can turn on or off nad adjust temp from my phone or any computer. 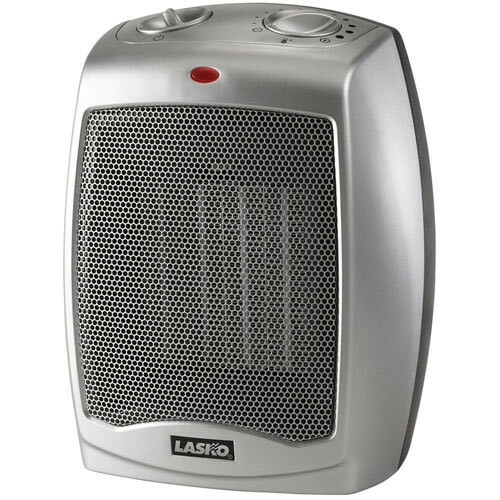 It's great for when you forget to turn your heat down after leaving the house or going on vacation. They let me know if there's a problem with my heating and air, and I can tell if there's a power outage. 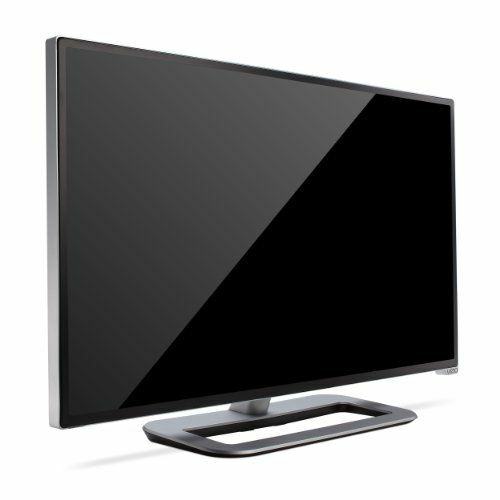 You can set it up to receive an on-screen, audible alarm and email if your heating or cooling stops working. 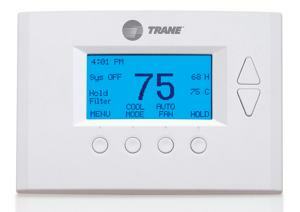 We liked the Trane Remote Energy Management Thermostat much better. This product didn't work with my system but after contacting customer service they were very helpful and Avenue return the product so I'd recommend that anybody can use it with this system. Web site works well and connection to router is simple. However their app won't work on my iPhone after upgrading to IOS 6 . Company says they're working on a fix. If you're looking for best remote controlled thermostat for your home this's the product you'll love. My main interest in this thermostat is for internet control This thing works about 20% of the time. I can recommend both the product and the seller. Tech support stated that "the Ecobee is designed to work in a straight line to the router up to 100 feet UNINTERRUPTED.". Don't buy if the ability to control this thermostat with an apple product is important to you or until they fix the problem. 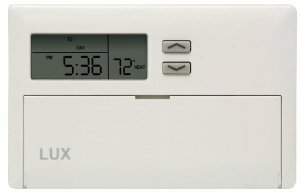 I also love that it connects to the furnace using an "equipment interface" that gets installed right by the furnace, and it uses only 4 thermostat wires to power and communicate all functions with the thermostat, making installation in older homes easy. I got some thermostat wire from Home Depot and my connection (simple 1 stage heat + 1 stage AC) only required 4 connections: R, G, W, and Y. The Common (C) connection isn't required with the Ecobee in this configuration. The control unit also requires a power source. It took about 2 hours, plus a trip to Home Depot to get some additional wire since the install requires you to install their wiring interface in series between the actual thermostat and the HVAC unit. I'd 24 volts in my AC unit, so power supply wasn't an issue (in my case having a common (blue) wire didn't do anything, I'd to locate a power (red) wire that was energized and blue wire served as neutral. It came down to connecting 12 volt power and a two wire data bus. Basically this's a separate control unit that's mounted directly to your Furnace/Air Handler and can be wired directly with a much larger selection of options. To install the Ecobee control box, I'd to cut my 5 wire thermostat cable and then insert the control box between my furnace and thermostat. 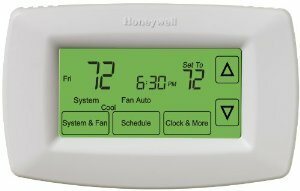 Traditional thermostats control your Furnace and Air Conditioning over only a few wires. The unit does require a WIFI connection so that it can connect to the Internet. *System Mode (compressor, heating stage, etc.). My HVAC system has 2-stage heat pump and a two stage propane furnace. -Install requires someone reasonably knowledgeable about his or her HVAC system or else professional installation. - Once I spent the time to install the unit into my hvac system (see below in negatives), the installation wasn't horrible. -Because it requires installation of two boxes (interface module connects to heating and cooling systems while the thermostat connects to interface module) it might require a significant run of new wire unless the heating and cooling system controls are in the same location. 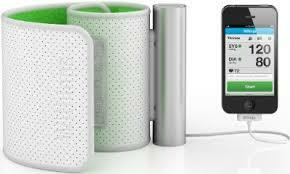 This device allows me to check on the status of my HVAC system and adjust the temperature remotely. The installation directions don't show a wiring diagram for my system. My setup is pretty simple, electric heat pump with heating and cooling modes, and the auxiliary electric heat, but there are plenty more pins for more complicated equipment setups. The installation wizard was simple (for my basic system), and everything feels pretty intuitive.